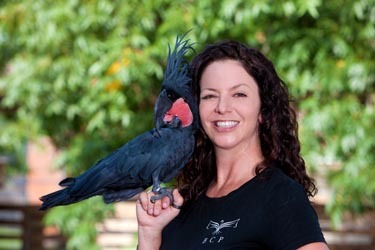 BCP Veterinary Pharmacy, based in Houston, provides quality medication and reliable service to independent veterinarians, numerous zoos and wildlife refuges across the U.S. Some of BCP’s better known clients include M. D. Anderson Cancer Center, Houston Zoo, Dallas Zoo, Brooklyn Zoo, Central Park Zoo, Disney’s Animal Kingdom, New York Aquarium, and Prospect Park Wildlife Center in New York. Large corporate clients and independent veterinarians can feel equally comfortable placing prescriptions for domestic and exotic pets with BCP since every prescription is tailor-made to fit the individual animal in need. In 1994, as a University of Houston Pharmacy student, Jennifer Gimon, took on the challenge of an independent research project that would lead to the founding of BCP Veterinary Pharmacy. Through her research, Ms. Gimon set out to determine whether an animal compounding pharmacy would be beneficial to veterinarians. The response to her concept was overwhelmingly positive. Ms. Gimon further expanded her knowledge of veterinary medicine through hands-on experience with a pharmacy internship at Texas A&M University College of Veterinary Medicine. She combined this practical experience, the many valuable suggestions she received and her independent research to develop the framework for the first compounding pharmacy dedicated exclusively to the treatment of animals. BCP Veterinary Pharmacy was founded after Ms. Gimon graduated as a Registered Pharmacist. The fundamental goals of BCP Veterinary Pharmacy are to compound those prescriptions that fill a specific pharmaceutical need, such as discontinued medications or custom dosages, and to focus on easier administration of medications. Ms. Gimon invented a treat-based chewable, VetChews®, which became an instant hit with veterinarians and pet owners alike. The trademarked, custom-medicated VetChews® are available in a variety of flavors that appeal to animals and offer the advantage of increased compliance by circumventing pilling, which many pet owners find difficult. The veterinary community has embraced BCP’s unique approach to custom-compounded pharmaceuticals. BCP Veternary Pharmacy’s founder, Jennifer Gimon was inducted as a Full Fellow in the American College of Apothecaries and is one of the founders of the American College of Veterinary Pharmacists. She received the Ed Hunter Pharmacy Law Award.